A well-established clinical conference which all optometrists are welcome to attend. This event is organised by the AOP’s Hospital Optometrists Committee. The conference focuses on challenges faced and managed in the hospital service, while providing extensively for the education needs of all practitioners. Since 1983 Associated Optical, Eschenbach’s UK partner, has sought to provide eye-care professionals with innovative magnification devices to further enhance their patient care. Working closely with all of our key manufacturers and education team, our aim is to inspire our customers to further improve people’s lives using patient centred optical solutions. Our key brands include Eschenbach Optik, Ocutech, LiveEyewear LV Shields & COIL. B+L invite you to their stand to discuss their full portfolio of Speciality Lenses for the irregular cornea such as Zenlens™ mini scleral, Quantum K, Maxim CV and Innovative Scleral range of lenses providing options for a wide variety of indications. Cantor & Nissel Ltd is the largest specialised contact lens laboratory in Europe. The company concentrates on the production of Custom Hand Painted soft lenses for prosthetic application and for special effects, of artificial eyes and sclera shells, and of complex lenses for Toric, Presbyopic and Keratoconic application and, in addition, with reverse geometry. And also producing the Chromagen range of coloured lenses and spectacle lenses for the management of colour vision deficiency and ASD (dyslexia). The College is the professional body for optometry. It qualifies the profession and delivers the guidance and development to ensure optometrists provide the best possible care. 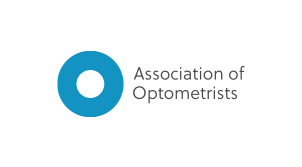 We promote excellence through the College’s affixes, by building the evidence base for optometry, and raising awareness of the profession with the public, commissioners, and health care professionals. Bill & Kim Wilson will be in attendance on the stand to discuss the Jack Allen Contact Lenses range of products. The PROFILE system for keratoconus and the irregular cornea has been augmented to offer a versatile range lenses at 14.00, 16,00, 16.50, and 18.0mm diameter. mark’ennovy produce custom-made monthly soft contact lenses that precisely fit the unique characteristics of each eye. Our unrivalled combination of contact lens parameters, geometries, materials and expert technical advice, is backed by the most advanced manufacturing technology with an exclusive focus on the Eye Care Professional. With over 40 years’ experience, Menicon Ltd. is one of the UK’s leading lens manufacturers. They combine the traditional values of quality, expertise and service with exciting new lenses and accessories. Menicon is renowned for its high quality lenses, especially the 'Rose K2' range, which is the most widely prescribed brand of irregular cornea lenses worldwide. Visit Menicon to find out more about their high quality lenses, such as the newly launched 'Menicon Z Night ortho-k' lens. Moorfields Optometry Education is a leading provider of specialist clinical courses in optometry. In addition, Moorfields and The Institute of Ophthalmology at University College London (UCL) have partnered to deliver the College of Optometrists Higher Qualifications. These are all delivered by leading ophthalmologists and specialist optometrists in their respective fields. No7 Contact Lenses understand that ‘one size doesn’t fit all’. They strive to ensure every individual patient’s needs are met, by manufacturing and sourcing a wide range of specialist contact lenses. Visit their friendly team and find out more about their latest ranges, including their new printed soft lenses – ‘Reflex Colours’. As well as the globally tried and tested NLK keratoconus Design, (which can be supplied with Hydra-Peg coating as a no cost option). We now offer the Tangible Hydra-Peg Coating system available on all Optimum Comfort-Extra and Extreme materials. This breakthrough Polymer coating, is advantageous for dry eye patients, also aids comfort, wettability and lubricity. OCuSOFT® is most recognized for OCuSOFT® Lid Scrub®, OCuSOFT® Lid Scrub Plus and OCuSOFT® Baby wipes for the treatment of Blepharitis. Additionally, we have the Oust Demodex range, an extra strength cleanser with tea tree oil that helps to control adult Demodex mites and their offspring when used daily. Interested in low vision? Optelec are part of Vispero, the world’s largest producer of adaptive technology for the visually impaired and blindness communities. As well as Optelec, our brands include Freedom Scientific, Enhanced Vision, AiSquared and The Paciello Group. We are also the proud UK and Irish distributors of the Schweizer range of optical magnification products. Come and see our new and improved products. Optima Low Vision Services Ltd. is a leading UK supplier of low vision equipment. Optima provides NHS funded low vision services, working with approximately 2000 new patients a year. We are in a unique position to offer a comprehensive product range, expect advice as practitioners and training to those working in the low vision sector. Scope is a family-run company with a heritage of bringing evidence-based, premium products to healthcare professionals and end-consumers alike. Scope offers innovative products for ocular surface diseases such as Dry Eye Disease. Operating in both the United Kingdom and Ireland, we have a well-established portfolio which includes; The HYCOSAN® range, OPTASE® and Omega Eye. Scotlens continue to lead the way with contact lenses for irregular corneas. Our irregular corneal range that includes; K-Contour 2- a variable diameter corneal lens for mild to moderate keratoconus, Corneoscleral lens - a 14.5mm lens for keratoconus, astigmatism and EasyScleral - 16 or 18mm diameter scleral lenses perfect for pellucid and post-surgical eyes. For over 12 years, SynergEyes® is proud to be the leading global contact lens company for the independent eye care professional. Our Duette lenses deliver exceptional vision for everyday astigmatic and presbyopic patients. UltraHealth and UltraHealth FC are sili-cone hydrogel hybrid lens for irregular corneas. UltraVision is a world class specialists in developing leading edge technology for contact lenses. Producing an extensive range of products from monthly disposables to bespoke custom contact lenses, UltraVision offer an option for all of your patients.